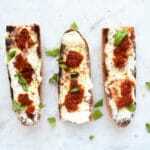 Cream cheese and Nduja bruschetta, spicy cheesy and full of flavour this make a great, quick snack that takes no more than 5 minutes from start to finish. 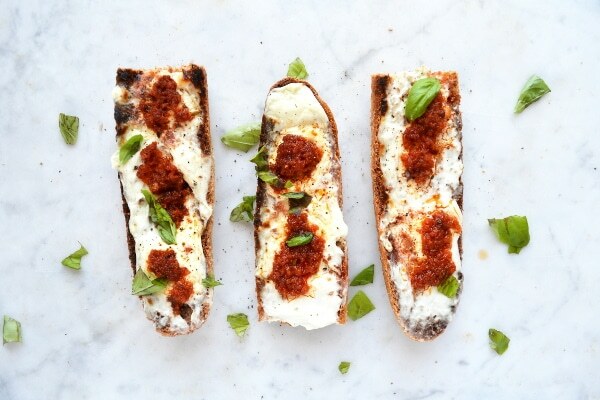 Cream cheese and Nduja bruschetta is one of those quick lunchtime meals or snacks that literally take under 5 minutes but taste SO DARN DELICIOUS!! I mean all there is to it is spreading some good quality cream cheese on beautiful crusty bread and dollops of ‘Nduja which is honestly one of the best things in life then under the grill it goes for 30 seconds and voilà you’re ready to eat this beautiful thing (and then crave more most probably). ‘Nduja (pronounced ndu-ya) is an utterly delicious and spicy spreadable salume from Calabria in Italy. I absolutely adore it and use it on everything! 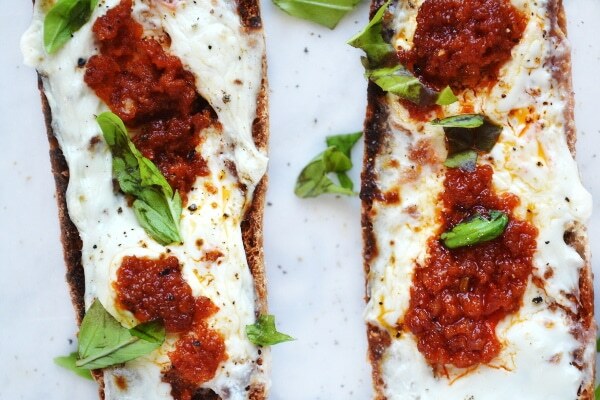 It’s great on pizzas, bruschetta, in pasta sauces and even just spread on it’s own on some soft crusty bread. It is already cured so you don’t need to cook it first and it’s packed with spices, a tonne of red pepper and plenty chili!! Depending on which one you buy they can really vary on how fiery they are, I personally love the heat of ‘Nduja because I love spicy food but if you’re not so keen on hot dishes then just use a little bit. 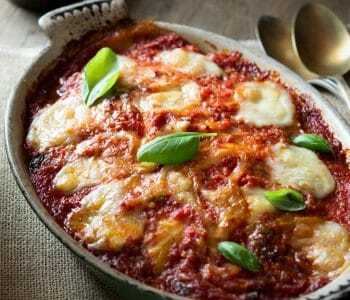 A little goes a long, long way and it’s so packed with flavour it will transform a plain old tomato sauce into something wonderful. 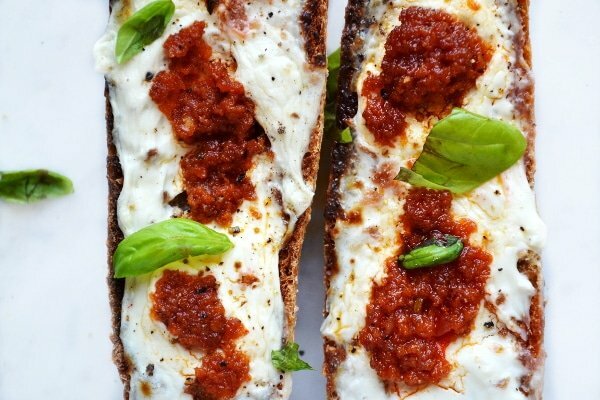 If you haven’t already tried ‘Nduja then you should definitely give it a go, like NOW. As a lover of all Italian food this has to be one of my favourites for sure. This bruschetta all started when I literally had nothing but two things in my fridge. You know that very slow last week of the month when you’re trying to live off £5 for the entire week. Well I was in that position and my belly started to rumble so I opened the fridge and saw two things cream cheese and ‘Ndjua. I think I lived off of ‘Ndjua that whole week, as I said a little goes a long way. Anyway I made some toast and spread on the cream cheese (a little hesitant of how it was going to turn out) then dolloped some ‘Nduja on top and placed it back under the grill. The smell of the sizzling spicy salume was so amazing I kinda knew at this point it was going to be good and oh my it was! The tangy cream cheese and spicy, salty salume together works wonders and yes, I am now addicted. Heat the grill and toast the slices of bread on one side. 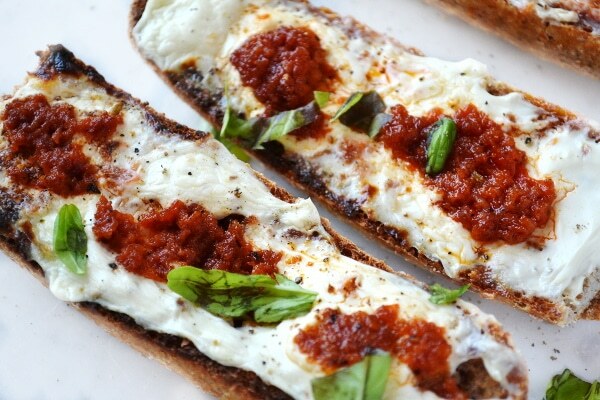 Spread each untoasted side generously with cream cheese and dollop around 1 tbsp of 'Nduja on top of the cream cheese. 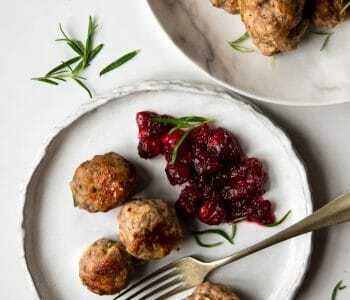 Use less 'Ndjua for less heat. Place back under the grill until the 'Nduja is sizzling, around 30 seconds.Sprinkle with pepper and scatter over some chopped basil if desired and enjoy. This is such a great snack the ndjua a under the grill is amazing!